A new year is always a time of reflection and an opportunity for rededication. 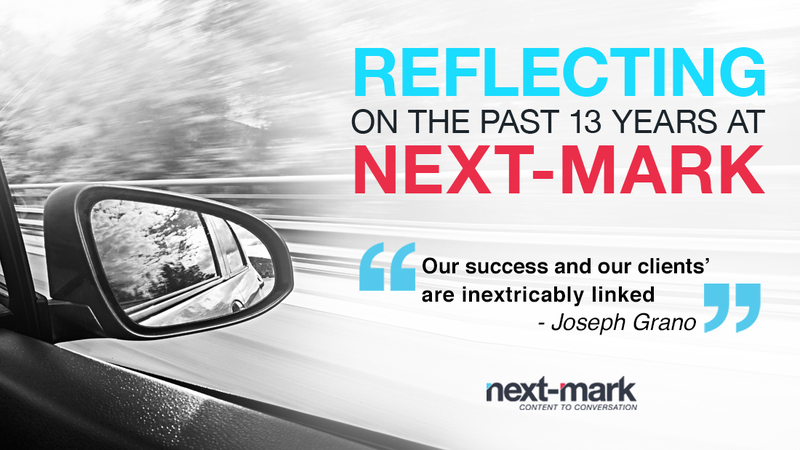 Thirteen years ago a leap of faith became a business as Next-Mark, a different type of marketing communications company, emerged. Drawing heavily on our extensive experience and deep understanding of the business world, we created a truly solutions-based organization founded on best practices that aligned with our clients’ needs. Here are a few thoughts on our business experiences from the year past and some foresight for the year ahead. Socrates said it; we adhere to it. That’s why we stick to our core competencies – strategic marketing and planning, creative strategy and execution, digital marketing, public relations and social media. We play to those strengths as we act as a true collaborative partner with our clients. We shape and develop client relationships for the long haul. We stick with our partners through thick and thin, understanding the dynamics of their business cycles and maximizing their resources. Equally significant is the role we play in sustaining their long-term vision, helping them stay on course and navigate through the occasional obstacle. We are extremely fortunate to serve diverse clientele. Whether they’re a $5 billion global enterprise or a small business in our neighborhood, our clients have one thing in common; the desire to develop deep roots in their industry and an appreciation of our role. This enables us to leverage what we have learned guiding brands and establishing marketing best practices on national, regional and local levels. For us, this means careful collaboration with clients and heavy reliance on our own strong base of talented and experienced staff. We work hard to recruit and retain highly skilled individuals who bring unique talent and tenacity to the table. Smaller businesses need to recognize that they don’t have to be a global leader, like Nike, to be a “brand.” What they require is simply something that differentiates their product, service or organization from the competition and the means to drive that message to the right audiences in the right way. That’s where we come in. We help our clients be good stewards of their intellectual property and purveyors of their brand, while assuring alignment with their value proposition and profit model. Our overriding goal for each client is to spark meaningful conversations about their brands, and with each bit of content or visual asset we develop, their stories become our own. Our success and our clients’ are thus inextricably linked – and more powerful for the partnership. 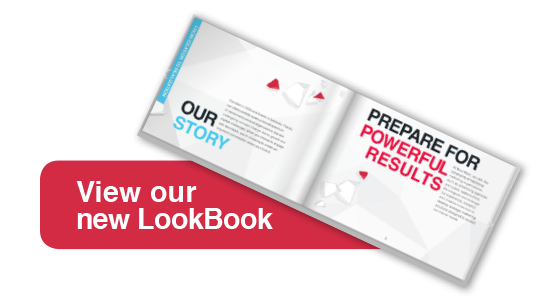 We invite you to scroll through our new Online LookBook to see a snapshot of our work as well as our extensive scope of services. Contact us to begin that powerful conversation that will reinvigorate your brand and connect you with your audience.